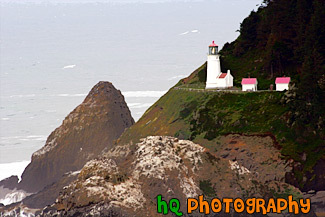 A close up picture taken of the Heceta Head Lighthouse located on the coast of Oregon state near the Sea Lion Caves. The lighthouse is a working lighthouse and has a height of 205 feet above the Pacific Ocean. To the right of the lighthouse is the Keeper's house. There are some spectacular view seen from the front porch of the Keeper's house. Whales sometimes stop by at high tide and use the shallow rocks to scratch the barnacles off their sides. Up by the light house is some of the best whale watching one can do from dry land. Heceta Head Lighthouse is one of the most visited lighthouses in the United States drawing thousands of visitors each year to sense its history, romantic aura, and spectacular view. 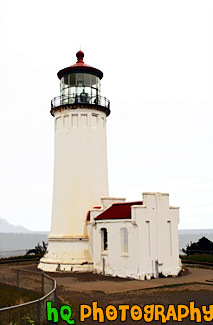 The Heceta (pronounced he-SEE-tuh) Head Lighthouse, constructed in 1874, was named for Spanish explorer Don Bruno De Heceta. 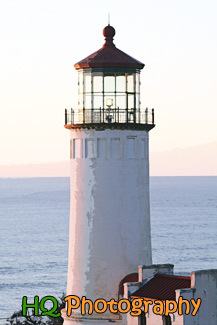 Its light is the most powerful beacon on the Oregon coast, visible 21 miles out to sea. 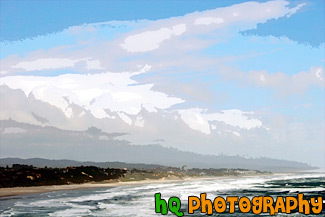 A scenic photo of a lighthouse taken on the beach at Santa Cruz, California. Downtown Santa Cruz is a year-round recreation and tourist destination with over 300 days of sunshine per year. It also has many shopping and entertainment opportunities available for all types of people. 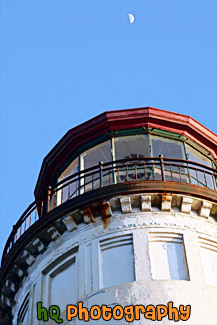 A close up vertical picture taken of the North Head Lighthouse located in Washington State. 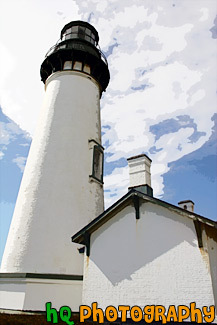 The North Head Lighthouse was built in response to an increase in the number of shipwrecks along the Peninsula as mariners coming from the north could not see the Cape Disappointment light. The North Head is the windiest lighthouse area on the West Coast and the third windiest in the nation. Winds of 120 miles per hour have been recorded at the site. 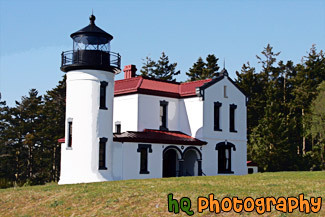 A close up picture taken of the North Head Lighthouse located in Washington State. 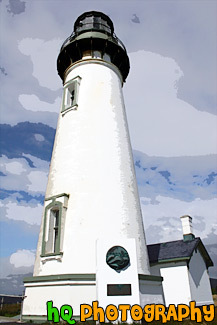 The North Head Lighthouse was built in response to an increase in the number of shipwrecks along the Peninsula as mariners coming from the north could not see the Cape Disappointment light. The North Head is the windiest lighthouse area on the West Coast and the third windiest in the nation. Winds of 120 miles per hour have been recorded at the site. 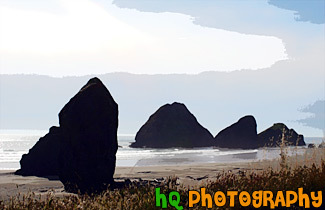 A scenic picture of some big rocks or sea stacks located along the coast in the Pacific Ocean of Oregon State. Some of the rocks are in the ocean while some on the beach. 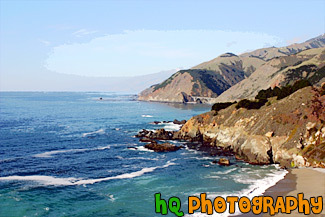 A scenic photograph taken along the coast of Highway 1 going south towards Los Angeles in California. This photo displays the beautiful Pacific Ocean with the blue and sunny skies. A scenic picture taken of the Pacific Ocean and the west coast in California in a beautiful sunny day. 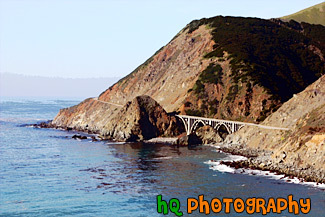 In this picture you can see many hills of the coast along with rocks and the scenic road and a beautiful bridge in the background. A scenic view of the Pacific Ocean driving down the coast view on Highway 1 in California. This picture was taken between the cities of Monterey and Santa Barabara by the coast. In this picture you can see the low clouds finishing up fading away from the raise of the sun which makes for a beautiful scene. 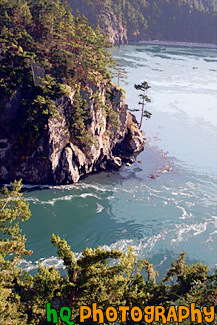 A scenic vertical picture taken of the rugged cliffs, trees, and water of Deception Pass located in Washington State. Deception Pass State Park is a 4,134-acre marine and camping park with 77,000 feet of saltwater shoreline, and 33,900 feet of freshwater shoreline on three lakes. 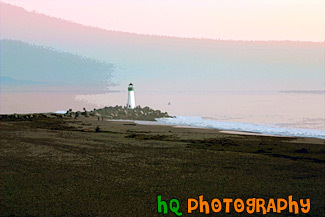 A scenic close up picture taken of the Walton Lighthouse in green on the beach at Santa Cruz, California. 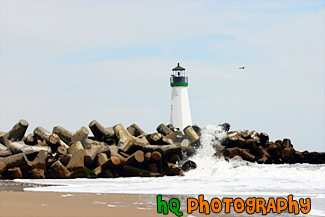 In this picture you can see the waves of the ocean crashing onto the rocks surrounding the lighthouse. 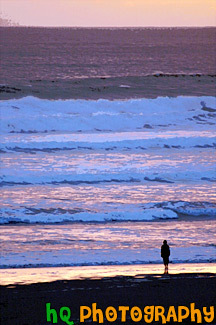 A scenic picture taken of many waves of the Pacific Ocean along the coast of Seaside, Oregon during sunset. Seaside contains 3 miles of powder-soft beach and 2 miles of manicured, ocean front boardwalk which make Seaside a popular tourist town. A pleasant 90 minute drive from Portland, Seaside is a first choice destination for north and southbound travelers. In Seaside you'll find dozens of delightful mini-malls, specialty boutiques, antique shops, art galleries, museums, arcades and cinemas. 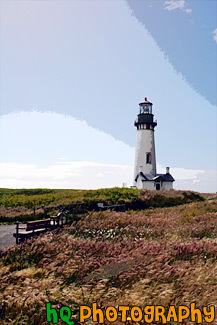 A close up scenic picture taken of the Yaquina Head Lighthouse which is located along the coast of Oregon State and the Pacific Ocean. This picture was taken on a partly cloudy day. This historic lighthouse is 93 (28 m) feet tall and was built in 1872-73. Its light towers are 162 feet (49 m) above the sea, and can be seen about 19 miles (32 km) out to sea. This lighhouse was automated in 1966 in which the light flashes two seconds on, two off, two on, 14 off, then repeats. Each light has its own pattern so it will not be confused with other lights. 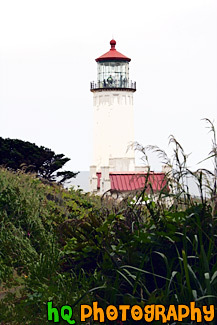 A scenic picture taken of the Yaquina Head Lighthouse which is located along the coast of Oregon State and the Pacific Ocean. This historic lighthouse is 93 (28 m) feet tall and was built in 1872-73. Its light towers are 162 feet (49 m) above the sea, and can be seen about 19 miles (32 km) out to sea. This lighhouse was automated in 1966 in which the light flashes two seconds on, two off, two on, 14 off, then repeats. Each light has its own pattern so it will not be confused with other lights. 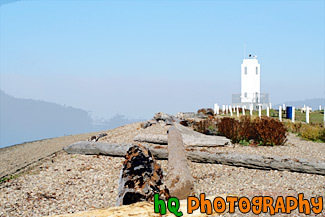 A scenic picture of Battery Point Lighthouse which is located in Crescent City, California. Battery Point Lighthouse was built in 1856 for a cost of $15,000. 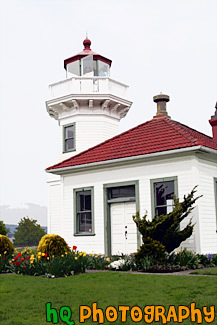 It was the 10th lighthouse built on the west coast. Crescent City is California's northernmost town, located on the flats behind Point George a few miles from the Oregon border. It has always been the main port for this remote corner of the state and has an important fishing fleet. A vertical scenic picture taken of the Yaquina Head Lighthouse with a bench in the foreground located in Oregon State. Off to the left you can see glares from the sun shining toward the lighthouse. This historic lighthouse is 93 (28 m) feet tall and was built in 1872-73. Its light towers are 162 feet (49 m) above the sea, and can be seen about 19 miles (32 km) out to sea. This lighhouse was automated in 1966 in which the light flashes two seconds on, two off, two on, 14 off, then repeats. Each light has its own pattern so it will not be confused with other lights. 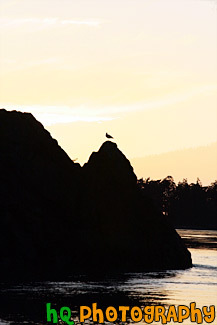 A scenic vertical picture taken of a silhouette of a big rock and a bird sitting on top during an orange sunset at Deception Pass, which is located in Washington State. 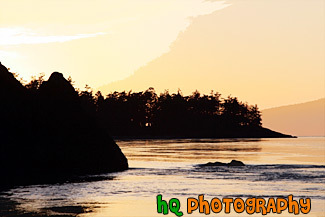 A scenic picture taken along the west coast of the Pacific Ocean. In this picture you can see a bridge, the ocean, and the blue sky on this sunny day along the hills seen to the east. A scenic picture taken of the Brown's Point lighthouse with fog in the distance and the shore in the foreground. Browns Point is situated on the eastern side of the entrance to Commencement Bay, which leads from Puget Sound to the port of Tacoma. The Brown's Point lighthouse is located in Browns Point Lighthouse Park lies on the tip of historic Browns Point, and provides the community waterfront access, enticing beachcombers year round and sunbathers and picnickers during the summer. 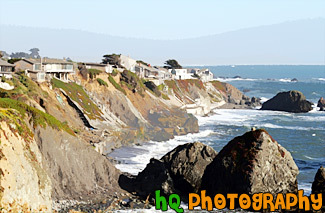 A scenic picture of houses along the coast of highway 1 in California located just north of Marin County and Point Reyes. Sea stacks can also be seen in the ocean. 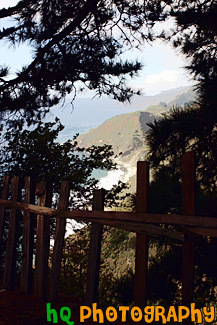 This is a scenic photo taken along the coast of highway 1 in California. 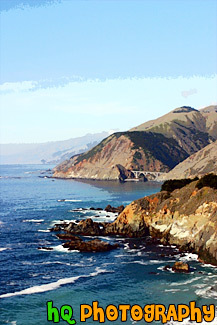 Highway 1 is a highway that runs along the coast of the Pacific Ocean with some breathtaking views. 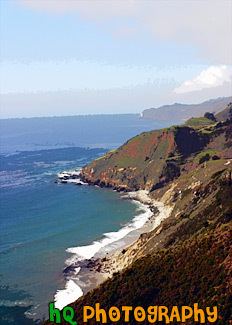 A scenic picture of the coast along the Pacific Ocean in Northern California. 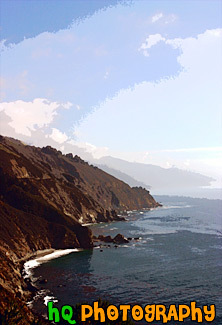 This picture was taken along the scenic highway of Highway 1 between Monterey and Santa Barbara. In the distance you can see a scenic bridge along the road. A scenic picture along the coast of Highway 1 near Fort Bragg, California. 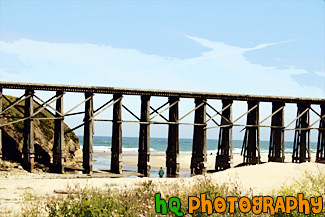 This picture is taken along the beach of the Pacific Ocean with railroad tracks passing over the beach. 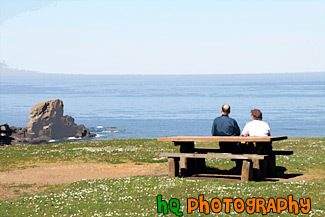 A scenic picture taken of a man and woman couple sitting at a picnic bench watching the Pacific Ocean along the coast in Oregon State near Cannon Beach. A scenic picture of a crashing wave located at the coast along Washington State at Rialto Beach in the Olympic National Park. A scenic picture taken of coastal Oregon state near Discovery Point. In this picture you can see washed up wood on the sand with some grass blowing on the beach with the ocean waves in the background. 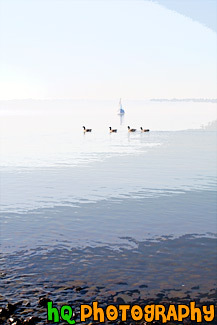 A scenic picture taken of four ducks swimming in Commencement Bay in front of a sail boat located in Tacoma, Washington at the Brown's Point Lighthouse Park. 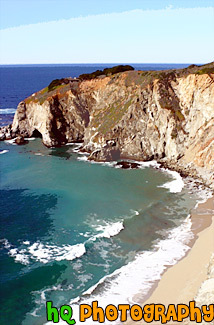 A scenic picture taken of the coastline located at Half Moon Bay, California. 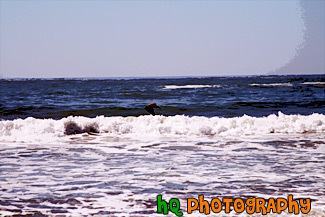 In this picture you can see people enjoying the beach at Half Moon Bay on a gorgeous blue sky sunny day. 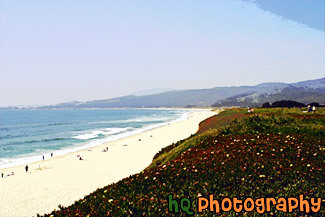 Half Moon Bay is located just 30 mile south of San Francisco. 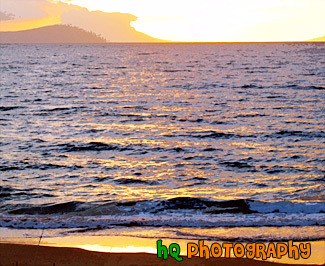 It also provides many outdoor activities such as scenic country roads, ocean panoramic views, golf courses & a driving range, deep sea fishing, whale watching, surfing, horseback riding on the beach, fields of glorious flowers, vegetables, pumpkins, and Christmas trees, marvelous restaurants, and superb hotels and inns. 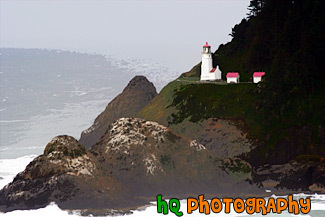 A close up scenic picture taken of the Heceta Head Lighthouse which is located along the coast of Oregon state near the Sea Lion Caves. 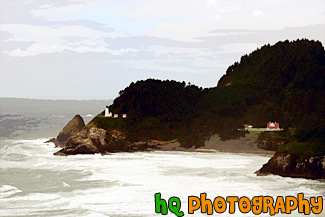 A scenic picture taken of the Heceta Head Lighhouse located on the Oregon coast, just after the famous Sea Lion Caves. The lighthouse is a working lighthouse and has a height of 205 feet above the Pacific Ocean. To the right of the lighthouse is the Keeper's house. There are some spectacular view seen from the front porch of the Keeper's house. Whales sometimes stop by at high tide and use the shallow rocks to scratch the barnacles off their sides. Up by the light house is some of the best whale watching one can do from dry land. Heceta Head Lighthouse is one of the most visited lighthouses in the United States drawing thousands of visitors each year to sense its history, romantic aura, and spectacular view. 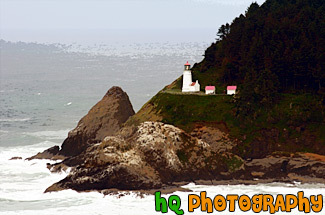 The Heceta (pronounced he-SEE-tuh) Head Lighthouse, constructed in 1874, was named for Spanish explorer Don Bruno De Heceta. 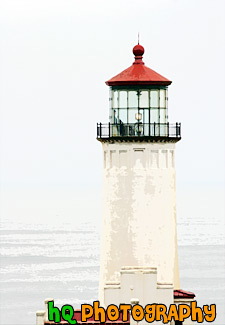 Its light is the most powerful beacon on the Oregon coast, visible 21 miles out to sea. 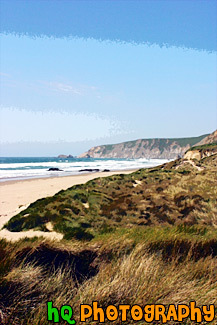 A scenic picture taken of Kehoe Beach with a green grass field being blown in the foreground by the wind and the Pacific Ocean in the background. 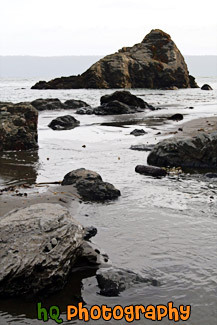 Kehoe Beach is located along the coast in Marin County in northern California. 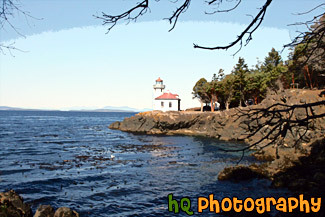 A scenic picture taken of the Lime Kiln Lighthouse which is located on the San Juan Island in Washington State. This photo was taken on a sunny day. 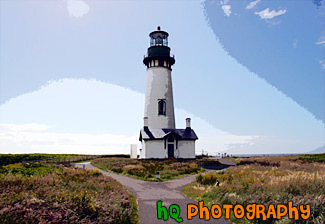 A scenic picture taken of the Yaquina Head Lighthouse with the sun glaring off to the left. Yaquina Head Lighthouse is located along the coast of Oregon State and the Pacific Ocean. This historic lighthouse is 93 (28 m) feet tall and was built in 1872-73. Its light towers are 162 feet (49 m) above the sea, and can be seen about 19 miles (32 km) out to sea. This lighhouse was automated in 1966 in which the light flashes two seconds on, two off, two on, 14 off, then repeats. Each light has its own pattern so it will not be confused with other lights. 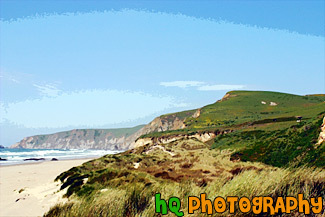 A scenic picture of a Marin County coastal view located at Kehoe Beach in California. In this picture you can see the green hills and long grass as the wind blows on this beautiful spring day. 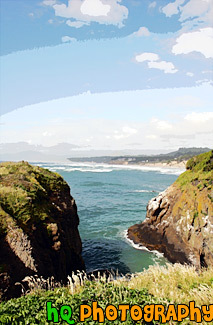 A scenic picture taken of the beautiful coast and Pacific Ocean along the shore of Newport, Oregon. 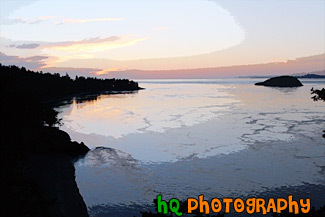 This picture was taken near the Yaquina Head Lighthouse looking toward the shore. The puffy clouds and blue sky add character to this picture. Newport today is a bustling coastal community of over 9,000. It's heart is along a working waterfront on Yaquina Bay where fishing fleets and fresh seafood markets coexist with galleries, gift shops, restaurants and family attractions. 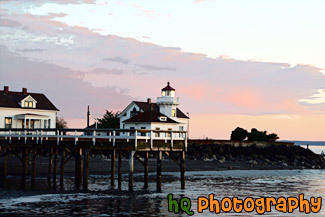 Across the bay is the acclaimed Oregon Coast Aquarium and the Hatfield Marine Science Center. 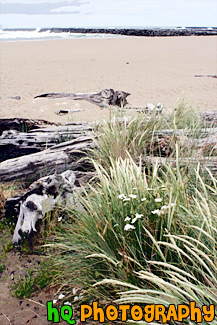 Historic Nye Beach, 2 lighthouses, museums and wide sandy beaches provide activity for people of all ages. 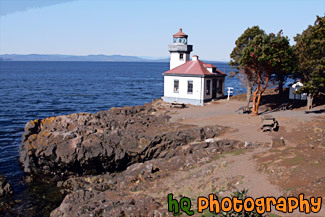 A scenic picture taken of the North Head Lighthouse located in Washington State. 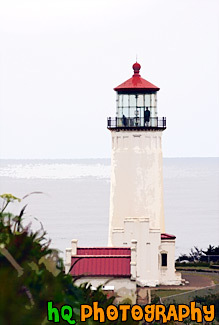 The North Head Lighthouse was built in response to an increase in the number of shipwrecks along the Peninsula as mariners coming from the north could not see the Cape Disappointment light. The North Head is the windiest lighthouse area on the West Coast and the third windiest in the nation. Winds of 120 miles per hour have been recorded at the site. 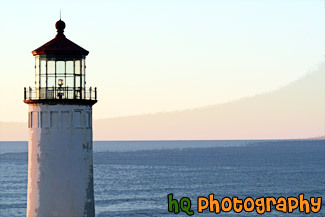 A scenic picture taken of the North Head Lighthouse at sunset with the Pacific Ocean seen in the background. The lighthouse is seen on the left side of the photo. 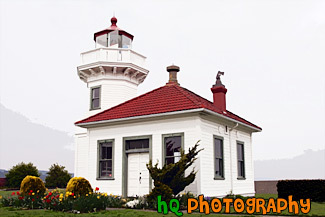 A scenic picture taken of the North Head Lighthouse located along the coast in Washington State. This lighthouse has a red tip. The North Head is the windiest lighthouse area on the West Coast and the third windiest in the nation. Winds of 120 miles per hour have been recorded at the site. 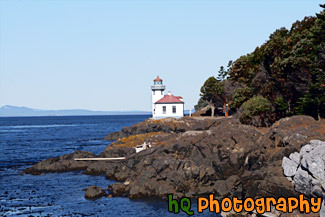 A scenic picture taken of the North Head Lighthouse located in Washington State. This is a white lighthouse with a red tip. 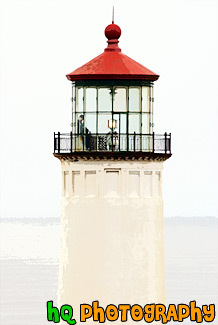 The North Head Lighthouse was built in response to an increase in the number of shipwrecks along the Peninsula as mariners coming from the north could not see the Cape Disappointment light. 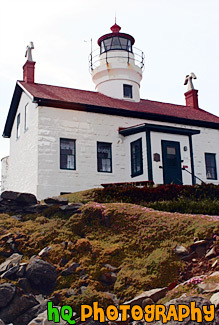 The North Head is the windiest lighthouse area on the West Coast and the third windiest in the nation. Winds of 120 miles per hour have been recorded at the site. 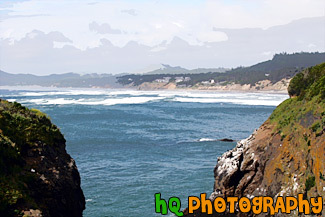 A beautiful picture taken of the Pacific Ocean along the coast near Newport, Oregon. This picture portrays an interesting blye sky sky and clouds along with the waves of the ocean. 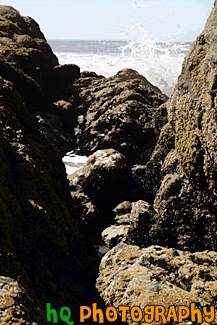 A scenic vertical picture taken of some big ocean rocks located along the shore at Muir Beach in California. A scenic picture taken of the Pacific Ocean waves on a blue sky, sunny day with a crane bird flying over the water. A scenic vertical picture taken of some Pacific Ocean waves splashing up against some rocks located at Ruby Beach in Washington State. A scenic picture of the Oregon coast and Pacific Ocean looking to the North from Yaquina Head Lighthouse which is near Newport and Depoe Bay. In this picture the sky is thick with low puffy clouds that are about to be burned off. 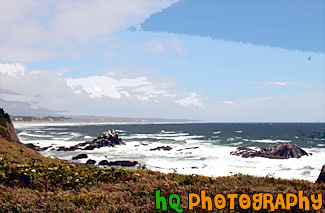 A scenic picture taken of Oregon coast near the Yaquina Head Lighthouse. 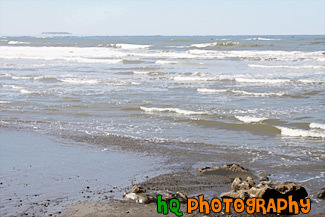 A scenic coastal picture taken of the Pacific Ocean, waves, and rocks at Ruby Beach in Washington State. A scenic coastal photo of the Pacific Ocean with a couple of big rocks near the coast. 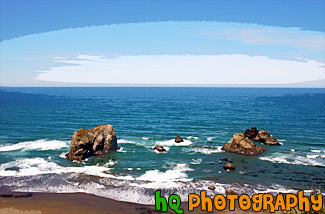 This photo was taken along the coast in Northern California on a beautiful sunny day.